Dezeen promotion: iconic objects, prototypes and designs that never made it into production will be among the 200 pieces that Vitra will present during Milan design week this month. Curated by Austrian designer Robert Stadler, the Typecasting exhibition will take place inside La Pelota – a former sports hall in Milan. 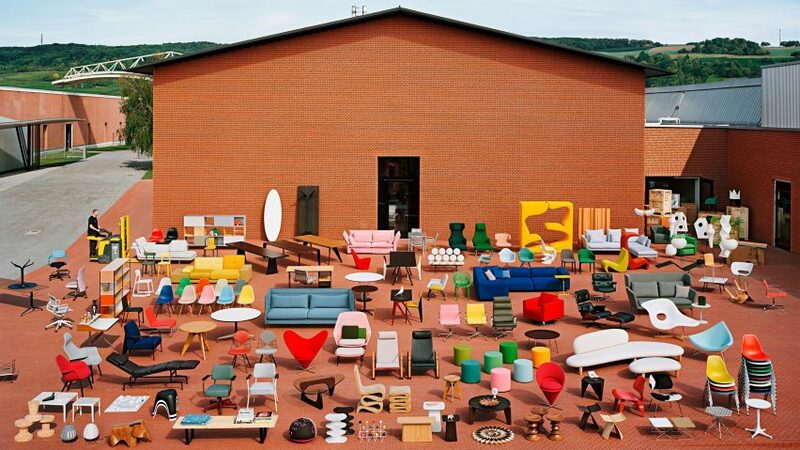 For six days, the vast space will host a selection of pieces selected by Stadler from the Vitra archive. Stadler plans to organise the objects in a way unrelated to their functions or the history of furniture. Aiming to examine the way furniture shapes people's lives and identities, he will group the objects according to the personality traits he feels they possess. "This film-set-like display of iconic, forgotten and new Vitra objects is as much about furniture as it is about us," he said. "Along with its practical task, furniture has always had a representational function. As such, chairs can typically be read as personalities or portraits." The designer describes these groupings as communities, in which iconic products will be displayed alongside prototypes and unsuccessful reject designs. "This organising principle offers a new view of the broad range of objects Vitra has contributed to design," Stadler said. "As a transhistorical, non-hierarchical presentation, it combines different object typologies chosen from current and past production, special editions and prototypes." "Looking at familiar objects through the lens of self-staging and image cultivation sharpens the perception of furniture's role in defining our personal and social profiles." Stadler was born in Vienna, but lives and works in Paris. His past projects include an update on the classic bentwood bistro chair and a range of seating in tribute to French interior designer Jean Royère. Some of the objects he has selected for the Typecasting exhibition include a blocky chair by American sculptor Scott Burton, a lamp by Japanese-American artist Isamu Noguchi and a stripy chair by Italian architect Antonio Citterio. The exhibition will also feature proposals on a piece of furniture for collective living spaces titled The Communal Sofa, where designers including Konstantin Grcic, Barber and Osgerby, the Bouroullec brothers, as well as Stadler, will explore furniture typologies. Vitra is a Swiss furniture company, with its headquarters based at a campus in Weil am Rhein, Germany. This campus also accommodates production facilities, as well as the Vitra Design Museum. The Vitra Design Museum will also present new projects at La Pelota. This will include new pieces from its Miniatures Collection and a new reference book on modern furniture design named Atlas of Furniture Design, which will be published later in 2018. Typecasting takes place at La Pelota on Via Palermo 10 from 17 to 22 April 2018.